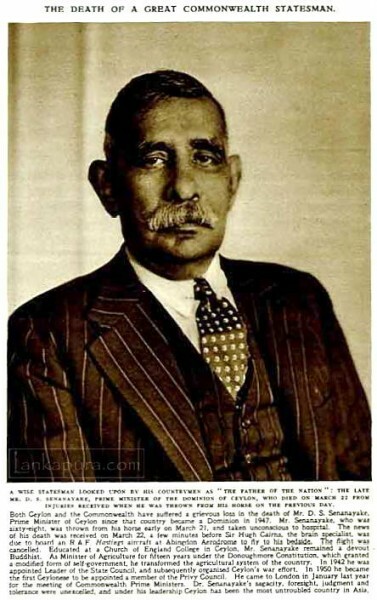 LankaWeb – THE REAL MEN WHO WERE RESPONSIBLE FOR THE SUBLIME TIMES OF AN INVINCIBLE UNP. WHY MUST THEY HAVE TO ROLL IN THEIR GRAVES? THE REAL MEN WHO WERE RESPONSIBLE FOR THE SUBLIME TIMES OF AN INVINCIBLE UNP. WHY MUST THEY HAVE TO ROLL IN THEIR GRAVES? In all of the 10 polling divisions of Jaffna the highest vote given by a polling division to the UNP has been 173 votes and 35 postal votes. In Mannar district, the UNP has 180 votes with just 7 postal votes. In Vavuniya, UNP obtained 1,704 votes and 65 postal votes. The complete percentage performance under this pathetic leader is as welcome as the news of the Titanic disaster to the hard-line traditionalists remaining as UNP activists. Some of The pathetic scoundrels amongst them are now trying to take refuge for their disgraceful defeat on the‚ discovery of some marked ballot papers, notwithstanding the Commissioner’s assurance that it wont affect the final result. The monitors have also in general given their verdict of a fair election. In any event there is an on-going inquiry but the Greens have prematurely jumped in so as to regain sympathy from the contempt that they have created in the minds of the public. In the Central and Wayamba areas the total polled was less than 30% whilst in the Northern‚ province despite cosing up to the TNA they were pathetically able to‚ ONLY to muster an unbelievable .o68%. How the mighty have fallen to the depths of desolation. Almost all his appointees have been chased out and their butts kicked. Poor Mrs Kohongage and the Chief organiser for Wayaba! should have followed Dayasiri?After all this, he has the audacity and affront to claim that he still has a large personal base amongst the masses and will continue regardless. Either we are all blind and idiotic or he is a suitable case for treatment. No prizes unfortunately will be awarded for discovering the truth.The Sinhala people are once again exposed to further divisions if the UNP does not get it’s act together soon. From the days of its pristine glory under the late Hon D.S.Senanayake the contemporary UNP, under the sure-fire inefficiency of Ranil Wickremesinghe, has descended to the lowest depths of Electoral rejection by the masses for an incredible 23 occasions The UNP is on its way to enter the Guinness book of records for‚ the largest amount of consecutive defeatism. He first fired a salvo inviting rejection by his sheer act of treachery by unilaterally imposing a Ceasefire Agreement at the behest of his Western masters, on a bewildered and helpless Motherland. The only advantage that came out of this was the strengthening of the murderous LTTE.The consequences of this dastardly betrayal led to a large number of our Long Rangers and Intelligence personnel being killed‚ by the LTTE on information supplied by this national treachery We know of one such senior officer who had to flee to Thailand and thankfully‚ was able to circumvent this heinous act.Thank God that he was able to return our Motherland and play a major role in her defence today. He thought craftily to use former Gen Sarath Fonseka as he was personally vilified by the public as a traitor. Unfortunately for SF he was unable to see the plot and paid the high price by ending up going to prison. However SF may have sweet revenge in the near future as his party might replace the UNP in the opposition if RW still persists in staying put.‚ following the results from the recent elections. It was at this point that the masses turned against him rightly considering HIM‚ to be a traitor and sent the UNP in to the wilderness of the Sinharaja from which there is apparently no hope of a return. The second act of stupidity was when the UNP’s boffins came out with the sarcasm on the part of the so-called ‘intelligentsia’ of the party. Leading this group of misfits was Ravi Karunanayake( destroyer of Sathosa) who had difficulty in differentiating between the Army’s presence in Alimankade and Pamankade One cannot ignore the intended derision when the forces were sacrificing limb and life to defend our Motherland. Next came the former Woman’s garment designer Gay Mangala ( A professional implosive agent) who became an OVERNIGHT expert in Military affairs by claiming that Gen Fonseka could not be expected even to head the Salvation Army and lastly the ‘affable’‚ Kiriella who brilliantly told us that any fool can fight battles. (We wonder as to‚ what school produced such an expert of spoken wisdom)? This form of infantile utterances‚ ‚ riled the public in that the sacrifices being made by the Forces were being ridiculed for some disgusting personal thrills.To date NO APOLOGY has been forthcoming from the so-called elite and ‘Gentlemen’ of a party previously known for its PATRIOTIC AND ETHICAL CONDUCT. The party leaders affinity for the international anti-Sri Lankan elements too did not go unnoticed by an alert public. Then there is a case of patriotism gone rotten.The current court jester, Tissa Athanake a former protege of late Gen Ranjan Wijeratne, used to show extra ordinary talent during the Southern Terror period in the saving of the UNP. However perhaps for firmly establishing his current status in the party,‚ he has now sold his soul to the Devil responsible for the pathetic state of the party.He effectively plays the role of an obedient puppet to his ventriloquist master. He reminds one of a local Mr Bean.‚ We remember him mimicking his Masters voice by saying that the UNP was in no doubt in winning the election but when confronted with the extraordinary defeat thereafter sheepishly defended himself by saying that after all it was an election not for changing the Government. Sour grapes and all that eh! old boy? excellent protector of sheep, the wolf! (Cicero). eh! what! Finally the close affinity shown by the Leadership to the separatism -seeking TNA in the recently concluded election, made the Sinhala and peace loving public to vomit in disgust. The party is now in the tragic situation where it is unwanted in the North or South, East or West or by the majority of Sinhala, Tamils Muslims or other. Only those who love this monumental DISASTER are the UNP’s only friends left.Why this ‘gentleman’ did not learn or depart could be a rare occurrence in the annals of his prestigious Alma Mater! AN IN DEPTH EXAMINATION FOR A RENAISSANCE? The‚ youth who are the potential leaders are being blocked, by this artful leader by organising a six-year guarantee for his tenure aided effectively by his own henchmen. A DISASTER had befallen the party when one of his many stupid actions misfired. Hon Dayasiri Jayaskera was one of the potential future leaders to succeed to the present incumbency. In order to safeguard his position he riled him to leave the party but the UNP present and former traditionalists gave the beleaguered Leader a stunning back handed slap. The 300,000+ votes that he received marks the highest number in an election of this nature. A statistical analysis will reveal the veracity of the statement. It is strongly rumoured that another future potential candidate Buddhika Pathirana is constantly being threatened with disciplinary inquiries as he is not amenable to some embarrassing requests to heel! 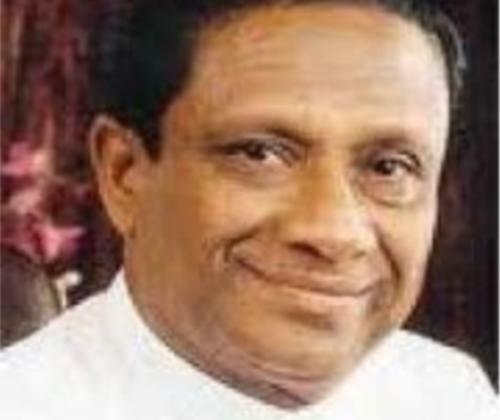 Sajith Premadasa unlike his illustrious pater can only blow hot air but when the leader confronts him he melts like ice due to global warming.It is all gas but no….. He has also taken steps to ban those who opposes his tenure from the Portals of Sri Kotha. His claim to be the high priest of Democracy but reveals his blatant hypocrisy and his thanhawa for the perks of office and the motto is let the UNP go to hell! His fake utterances of defending Media Freedom has been exposed by his imposing a ban on certain Media Channels from his self-preserving Media conferences. Falsely claiming to espouse the cause of Democracy and gentlemanly conduct this ‘gentleman’s’ behaviour remains an unethical nightmare. Unlike his mentor the British system of politics, despite Hon John Major, PM Gordon Brown and other such politicians, who have practised ethical principles, he blatently ignores the fact that he is no longer wanted by the Majority voters in Sri Lanka but point blankly refuses to depart. However we like to remind this‚ diabolical monument of an altruistic power source, that according to the teachings of the Lord Buddha nothing is permanent and everything is subject to change in life. Ask Prabakaran! Nevertheless there is still hope, if he acts honestly towards ground realities and departs the life of the party. The terrible twins (aka Batman & Robin) who are the architects for the devastation that is being imposed on a Party once thought to be invincible, patriotic and a protector of our Motherland. Their forlorn looks of regret and dejection portrays‚ a pathetic outlook to a duo who foolishly thought that they could accomplish Mission Impossible! There is a growing call from the party for Gay M to return home to the blue HQ and stop his implosive exercise which has added a disaster ten fold. We need a strong ruling party. A strong opposition is not really a requirement in SL. Our oppositions never support national security. If the ruling party is weak minoraties get to demand things. This entry was posted on Sunday, September 29th, 2013. You can follow any responses to this entry through the RSS 2.0 feed. You can skip to the end and leave a response.